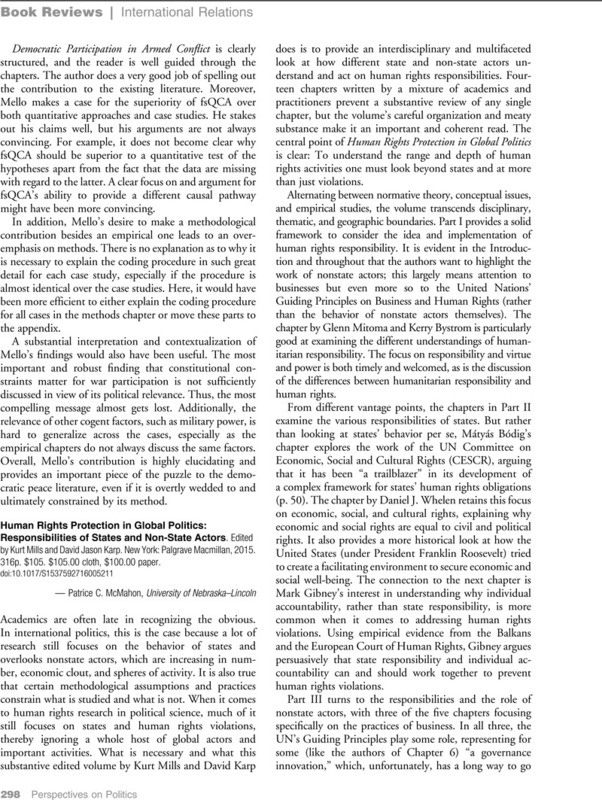 Human Rights Protection in Global Politics: Responsibilities of States and Non-State Actors. Edited by Kurt Mills and David Jason Karp. New York: Palgrave Macmillan, 2015. 316p. $105. $105.00 cloth, $100.00 paper.